Isaias Vallejo the genius behind one of my most anticipated games of 2016, has been so kind to take some time to talk about what makes him tick as a designer. His honesty and insight makes this an interview you don’t want to miss. Sure, but first let me thank you for doing this interview and showing such great interest in the things we are doing here at Daily Magic Games. I’m Isaias Vallejo, designer and co-owner of Daily Magic Games. After serving in the U.S. Marine Corps, I went to a technical school for Digital Video Production and 3D animation in San Diego. From there I jumped to Seattle thinking it was the best place to be if I wanted to be in the Video Game industry. Just a bit after arriving here, I got a job at Big Fish Games putting together graphics for the website and newsletter. After some time doing that, I got the opportunity to become a Game Producer which led to me eventually running the 3rd-party PC and Mobile game production team – Team Awesome! During my time as a Game Producer, I helped a lot of development companies grow from 2-3 people in an apartment to up to 300 professionals in an office. This was a very rewarding time in my life. Seeing these companies grow, I began to want that for myself. I decided to tinker around with board game design since it was something I could do on my own. 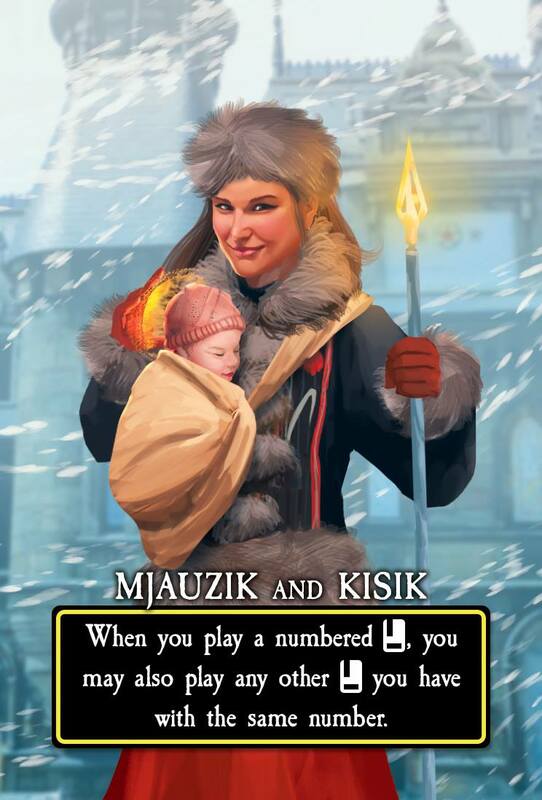 Eventually, one of my designs, Sunrise City, caught the eye of David MacKenzie, owner of Clever Mojo Games. You may remember that name from being the original publisher of Alien Frontiers. We kept in touch and when I had designed my next game – at the time it was called Shadow Kingdoms, he helped me develop it into Valeria: Card Kingdoms. David came on as a consultant to help me run the Kickstarter campaign and we worked so well together that we decided to merge our companies in to one. Lords of Waterdeep hands down. I’ve played the physical version quite a bit, but my plays on the app is over 100. It’s just an incredible design and continues to influence me as a designer. I would say that Stone Age is a close second – but only because that was the first game I reverse-engineered. Something clicked in my head after analyzing all the points, cards, and decisions in that game – I just knew I had to make boardgames after seeing what’s under the hood. It really depends on the person. For an average person, I would start with Splendor – rules are simple and people just “get it” right away. If it’s someone who I think needs a nerdy theme, I’d go with something like Legendary. It’s cooperative, so you can help guide them if they get lost and the theme will usually keep people engaged. 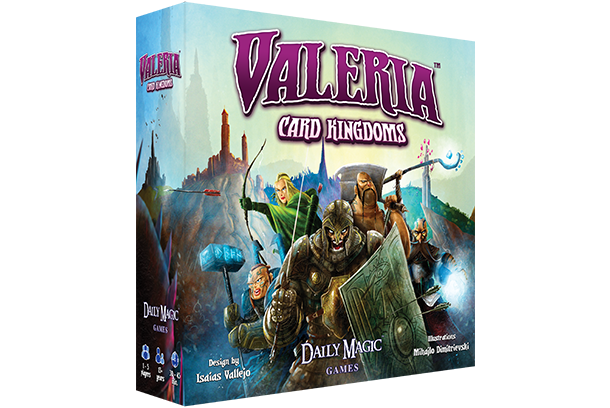 Of course, I could also introduce new people with Valeria: Card Kingdoms – there’s just something inherently satisfying about “winning” resources when the dice are rolled that gets people hooked. Some context first… My wife is not a big gamer. She owns and runs a PC and mobile game development company, but playing tabletop games is just not her thing. Since we had our beautiful baby girl we’ve been having a lot of nights at home. My buddy and his wife just happened to have his baby boy a day before us. (We didn’t plan it, I swear.) This life change has led to us having game nights, which is pretty cool for me. We’ve been playing through Pandemic: Legacy and if you haven’t gotten it yet, do yourself a favor, and go out and get it! We essentially sit around holding babies, watching America’s Next Top Model re-runs, and curing diseases all night. It’s great! By nature, I’m a tinkerer. This is what led me to reverse-engineer Stone Age and before that what led me to reverse-engineer video games. I think the most important aspect of a game for me has got to be building engines. I like to create something, break it down, and then see if I can build something better. Again, goes back to me being a tinkerer. Also, if I’m being honest, I think it’s an easy way for me to validate my creativity. Selfish? Sad? Probably. It’s just a great feeling to create something and put it in front of people to judge whether it’s good or not. And where else can you find a craft where you can literally scribble on a card in front of play testers and have them re-test something immediately. I used to write a lot as a teenager, mostly emo-poetry, but that drive to create and have someone look at it and say it was good, that I wasn’t just wasting my time, has been a big factor. I would have to say watching my wife holding our baby girl. But you’re probably looking for something game-related! Valeria: Card Kingdoms went through several iterations – over 2 years of designing, dismantling, and tweaking. That last week of our Kickstarter last year for Valeria: Card Kingdoms was just a great week – getting all that support from backers, industry veterans, and family members. This time around, with Villages of Valeria, I was again blown away by the level of support from everyone. 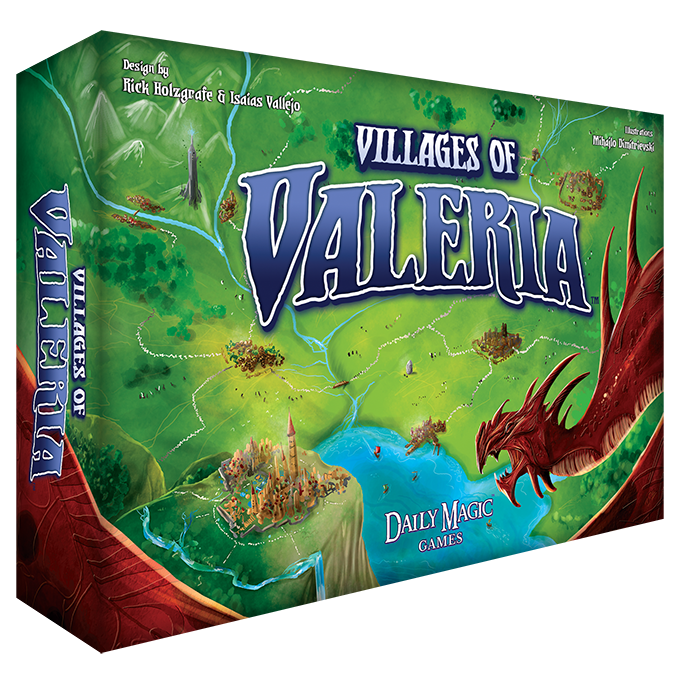 I can’t wait until the end of this campaign for Villages – that may top that Valeria: Card Kingdoms end-week. The idea of having friends and family gathered around a table – laughing, challenging each other, and having a great time. This is the main reason I stepped away from digital games. I found myself tapping on my cellphone in solitude and having to spend money just to make a game fun. I quickly realized this was not what I wanted to do with my life. I wanted to bring people together around a good game. The mechanic is what drives me and the theme is what inspires me. I watch a lot of game play videos – Rahdo Runs through and Shut Up and Sit Down are my go-to sites, but I scour the internets when I hear of a new game that’s creating buzz. Watching people play something and explain why they think something is fun helps me understand what it is I should be designing. For my own personal designs, I think about my childhood a lot and what I thought was cool back then. Knights fighting dragons, the first hour of Sim City, and the simplicity of a family rolling dice around a table.